Low Cost Spindle 1.0 - Make Your Bot! 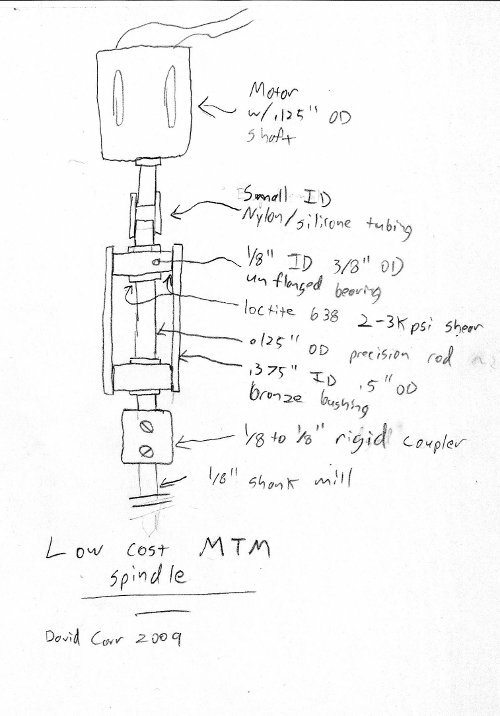 The low cost spindle 1.0 was used on all Mantis mills up until version eight. On version eight it was replaced by the Ilan spindle, to increase the overall rigidity of the machine. Mantis nine uses a new version of the low cost spindle that addresses the rigidity issues at a lower price point.